Civic Tech took 2nd place at the Data Visualization Competition hosted by ​IBEC. Civic Tech project leads were Kyle Rogers and Pierre Cormier. Based on the results of a recent Age-Friendly Survey, the team looked at the role transportation plays in social isolation of older adults in our City and provided a go-forward strategy to ensure we have a transit system with accessible bus shelters that meet the needs of our aging population. ​The findings also proved valuable to other Non-profits in our City such as Meals on Wheels. The Civic Tech Fredericton team in partnership with the Government of New Brunswick and their flood forecast data have launched the River Watch application just in time for the spring thaw. Check it out here. The Caring Calendar is a services coordination tool for our faith-based community and other organizations that provide services to those in the circumstance of poverty. This project is supported by the Fredericton Community Foundation. 40 faith-based organizations unite in an open space forum in partnership with the Community Action Group on Homelessness. - Mayor's Homelessness Task-force. 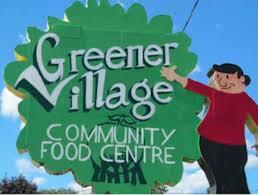 Greener Village - Community Food Center's clients would like a meal planning tool that will include healthy recipes created by the Greener Village chef. The tool will also provide a shopping list and associated costs. City of Fredericton needs a tool to support their maintenance teams' ability to let the public know when a sports field has to be closed. Today it is a labourious process and Civic Tech plans to make it easy & efficient. If you have a project that would make our city better, we would love to hear your pitch. Please contact us. We will add you to the agenda at our next meeting.